The ST Roof is a tower-based structure with a pitched roof, a design that inherently offers optimum strength. The larger ST Series offers flexible possibilities for creating stage dimensions up to 30 × 20 m. Technical specifications available on request. 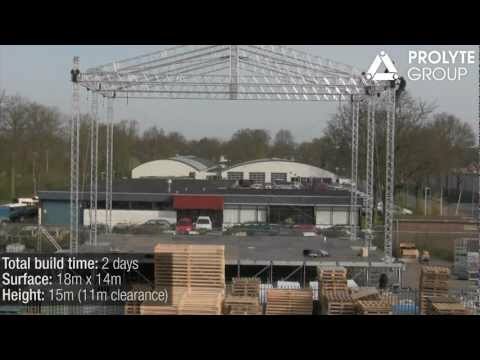 Please consult Prolyte for up-to-date information on loading capacity, wind speed, total weight and transportation volume in line with the Eurocode regulations.